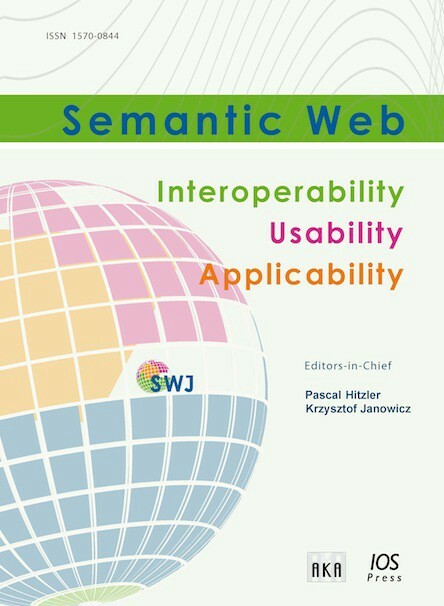 Last week, the journal Semantic Web published an editorial taking a serious look at the potential impact of blockchain on scientific publishing. Led by the journal’s chief editors Krzysztof Janowicz and Pascal Hitzler, it considered the nuts and bolts of a hypothetical blockchain-enabled, crypto-powered scientific journal. Making the journal management workflows transparent. Storing and curating scientific data to support the reproducibility of results and improve access to scientific data. Connecting researchers to funding sources or allowing researchers to bid for existing proposals. Managing intellectual property, establishing identity, and preventing fraud. Democratizing science by making decisions of organisations more transparent and enabling voting on important decisions. Opening up the algorithms and closed data sources such as impact factors, citation counts, and so on. It’s familiar territory for anyone who’s been paying attention to the blockchain for science movement. But the editorial sounds several notes of caution. In particular, Janowicz and his colleagues are concerned about the potential unintended consequences of technological solutions to what are essentially human problems in scientific publishing. To give one example, blockchain could be used to transparently compute metrics such as the h-index for evaluating researcher performance. But before permanently coding these algorithms in blockchain there’s a social question to be asked — do we actually want research to be governed by such measures in the first place? Likewise, introducing voting or bounty-based models to research funding sounds attractive, directing resources to problems that the community as a whole sees as worthwhile. The danger might be that it exaggerates existing biases that favour whatever topic is currently popular and marketable. And saving manuscripts using a distributed storage solution (such as IPFS) would make it much easier for those manuscripts to be accessed and much harder for science to be censored. But there are situations in which editors of a scientific journal might actually want content to be removed or replaced. In contrast to today’s situation where research teams are often in exclusive control of their data, storing them on a ledger would make all edits permanently visible. Hence, everybody could track what data were used for a scientific publication and whether they have been altered in some way. But the editorial also notes that storing data on blockchains is currently a slow and expensive process. To this, I’d add that, when research involves human participants, there are also legal and ethical concerns about putting data on blockchain. Instead, Janowicz and colleagues see blockchain’s role as providing an indexing function for data stored off-chain. This is very much in line with our current thinking at Frankl. The main focus of the editorial, however, is science publication. Janowicz and colleagues imagine a journal running on a hypothetical cryptocurrency token. When the authors of a paper submit to the journal, they pay tokens which are then given as rewards to the editors and reviewers of the paper. The entire workflow is controlled by smart contracts (programs written to blockchain) and the editorial lists the functions of 18 different smart contracts that the journal would require. The presented workflow increases transparency in multiple ways, rewards editors and reviewers for their work, allows authors that would not be able to pay for (open access) publications to participate by using coins received from reviewing, manages timestamps and deadlines, and so on. But again Janowicz and colleagues highlight some potential unintended consequences. For example, depending on how the rewards were structured, reviewers might be incentivised to give overly positive or negative reviews or, alternatively, to request unnecessary rounds of revision. Another concern is fluctuation in the value of the token relative to traditional fiat currencies (e.g., US dollar). This may lead to increased submissions when the token is weak against the dollar (and the dollar price of submission is relatively low). A weak token price would also mean that the token incentive is less attractive to reviewers — at precisely the time the journal has increased submissions. To address these problems, Janowicz and colleagues suggest that, rather than directly linking actions to tokens, rewards could be distributed via a lottery mechanism. The probability of success in the lottery would be proportional to an individual’s journal-related activity over a period of time. It’s also worth adding that the token’s value (relative to other currencies) may become less of an issue as a scientific “economy” grows around the token. If individual scientists can assume the role of author, reviewer, editor at different times, and if the token gains other utilities, there’s less of an incentive to immediately exchange token rewards for fiat. The challenge, of course, will be getting to that point. We believe that most or even all of the issues raised can be overcome, but this will require a consensus process developed together with a broad base of researchers, publishers, and funding agencies. It’s also important to put these challenges in context. The reason there’s interest in blockchain solutions to science publishing is that the current scientific publication industry is so archaic and so dysfunctional. Certainly, we should be wary of blockchain hype. It’s important to ask the hard questions and ask them early. What are the possible unintended consequences? Does science publishing really need blockchain or are there better solutions? Might an incremental approach — working with existing technology — have a greater chance of success than aiming for wholesale decentralization? At the same time, it’s important not to lose the big vision. Even if, from a technical perspective, blockchain might not be the only solution to a particular problem, it offers a clean slate and a fresh start. As John Wolpert of Consensys put it recently, it’s perhaps time to stop worrying and “embrace the odd utility of the hype cycle”. Blockchain could be the catalyst for changing things that could and should have been fixed a long time ago. This story is now republished at Nature Index. At Frankl, our mission is to make open science easy and rewarding for scientists. If you’d like to know more, the best place to start is our Medium page. You can also read our whitepaper, check out our website, follow us on Facebook and Twitter, or join our Telegram channel. We love feedback (positive and negative), so please let us know what you think — write a response or just hit the ♥ button and share this post with friends and colleagues.